South Africa has a well-established deaf community with more than 4 million deaf and hard of hearing people. It is important that we raise awareness about the needs of deaf people and make sure that these needs are respected. A person who experiences hearing loss struggles to hear sounds in the same way that other people do. This is more commonly referred to as being hard of hearing and the condition can often improve with the help of a hearing aid. Deaf people normally communicate by lip reading or with sign language. With South African Sign Language (SASL) officially recognised as a home language in education we are recognising deaf culture as a fundamental part of South African culture. There are 3 main types of hearing impairments: conductive hearing impairment (when sound is not reaching the inner ear), sensorineural hearing impairment (resulting from dysfunction of the inner ear, the cochlea, the nerve that transmits the impulses from the cochlea to the hearing centre in the brain or damage in the brain) and a combination of the two called mixed hearing loss. You can read more about the different types here. Age: As one gets older it’s normal for your hearing to deteriorate. Noise: Extreme noise is the cause of half of all cases of hearing loss. People who live near airports and freeways are exposed to high noise levels that over a long period can impact their hearing. Genetic: Hearing loss can be inherited. Both dominant and recessive genes exist, which can cause mild to profound hearing impairment. Illness: Illnesses like measles, meningitis, mumps, etc. may cause auditory nerve damage. Reportedly, Foetal alcohol syndrome can cause hearing loss in up to 64% of infants born to alcoholic mothers, caused by the ototoxic effect on the developing foetus (ear poisoning resulting in damage to the inner ear), plus malnutrition during pregnancy from the excessive alcohol intake. Neurological disorders: Neurological disorders such as multiple sclerosis and strokes can have an effect on hearing as well. Physical trauma: People who sustain head injuries are especially vulnerable to hearing loss or tinnitus (ringing in the ear), either temporary or permanent. At least once during Grades 8 or 9, and at least once during Grades 10 to 12. There’s a shared set of social beliefs, behaviours, art, literary tradition, history and values within the deaf community. 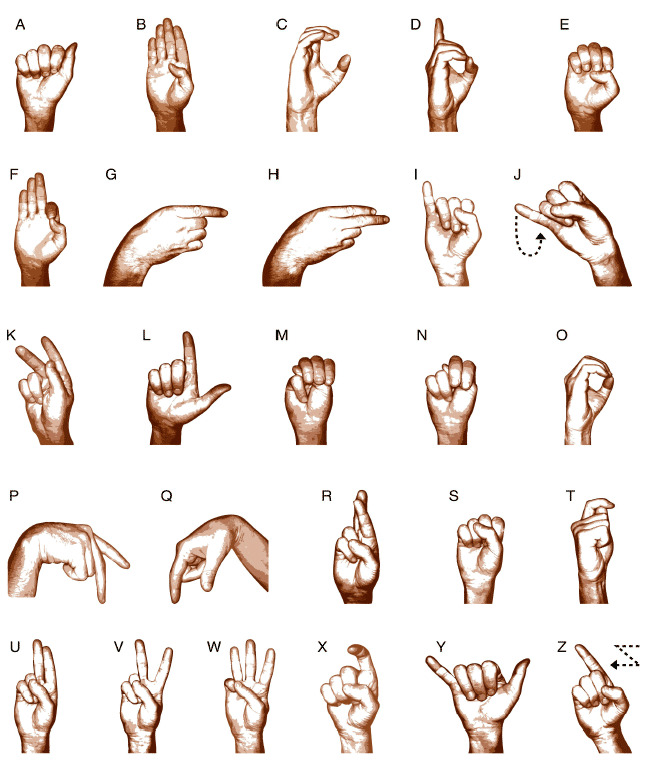 This is referred to as deaf culture and sign languages are normally the main means of communication. Deaf people aren’t normally born into the community. Communities can consist of deaf and hearing people. Sign language refers to a person who uses their hands instead of their voice to communicate. If you want to communicate with a deaf person first attract his or her attention by tapping gently on their shoulder or wave in the air to establish eye contact if they are out of reach. Establish a comfortable distance between you and the deaf person. Establish eye contact before initiating communication. Wait for your turn before signing/speaking. Keep the face clear of any obstruction. If you need a Sign Language interpreter, you can find more information here. Due to societal prejudices and wrong assumptions, deaf people’s rights are often overlooked or denied. Deaf people have the same human rights as everybody else and it is important that their rights in the following areas are acknowledged. Read more about the rights of the deaf here. The National Institute for the Deaf (NID), offers students from different organisations hands on experience, exposing them to the different services they provide. They gain experience in many areas, while working with persons with hearing loss. 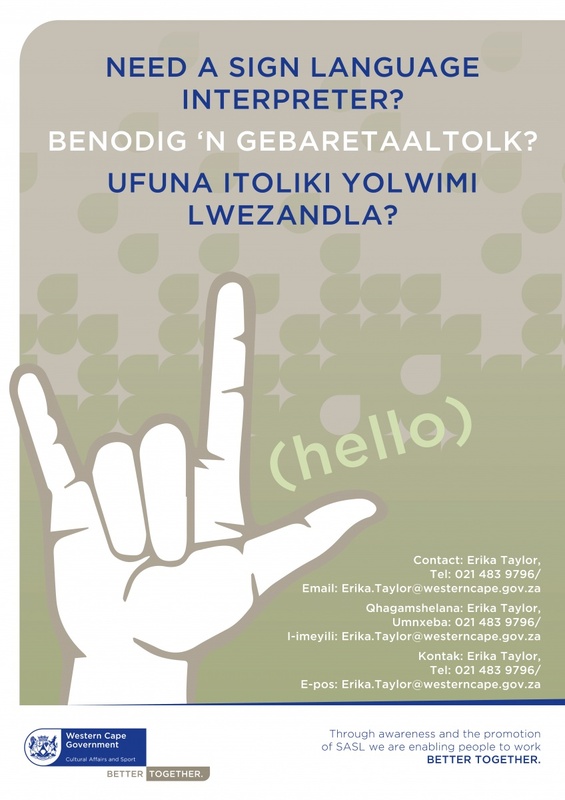 The Language Services Unit at the Department of Cultural Affairs and Sport liaises with several organisations, schools, societies and associations for the deaf in promoting South African Sign Language. Because the deaf community in the Western Cape is small, the Language Services Component goes the extra mile to make sure that people who phone in, fax, e-mail or send text messages, have sufficient access to information. For further sign language information please read the sign language booklet. 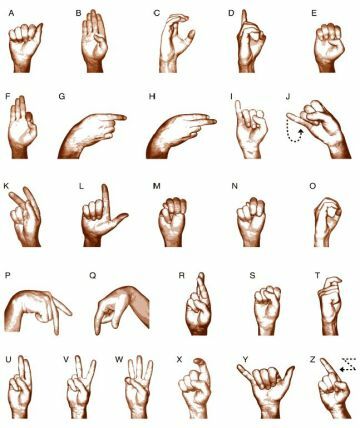 Some handy videos to learn South African sign language from the National institute of the deaf.